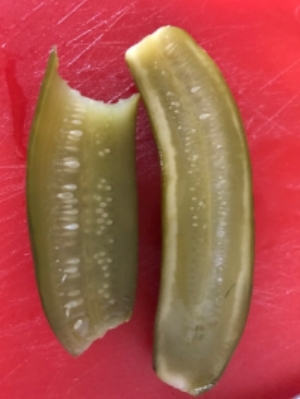 Is Sediment In Fermented Hot Sauce Okay? I came across your page while worrying about my first ever batch of lacto fermented hot sauce. I've never fermented anything before, so i'd rather be on the safe than sorry side of foodborne illness. When starting, the ferment had tiny bubbles during the first week. The directions I followed stated to massage the peppers after a week, so I opened it up to do so. Other than that, I haven't touched it in 5 weeks. That 1 week mark was also the time, however, that it stopped producing bubbles. Do you mind just letting me know if it looks okay? No bad smell, just a lot of sediment/debris and no bubbles. These are red and green jalapenos along with onions and then spices. Thanks for contacting us and sending photos. We have never heard of the massage at the 1 week technique and can’t think of why that would be suggested. 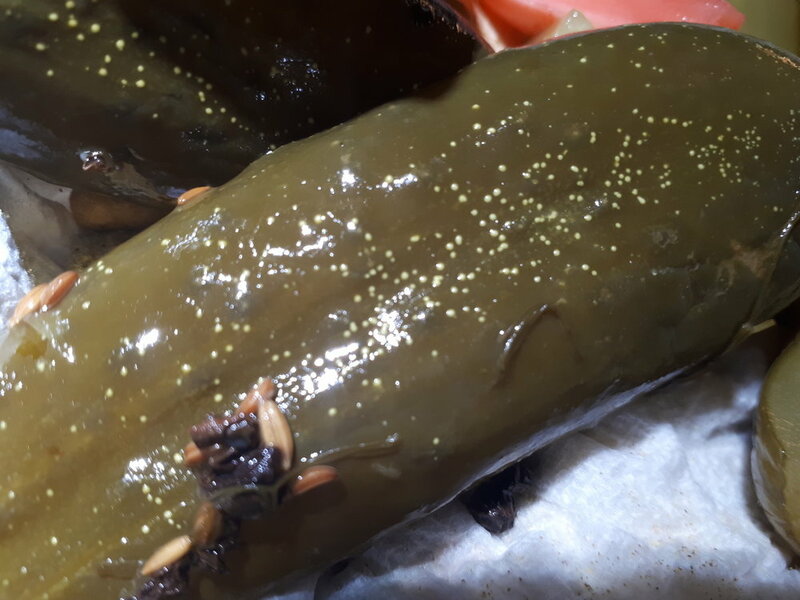 Maybe the author had an issue with whole peppers not getting the brine inside them so they thought they should me massaged? Don’t know but I would suggest leaving that off your next batch process, you really should not need nor want to handle the ferments while they are fermenting. Opening the lid also releases the protective CO2 layer that should be captured under the lid and water in your air lock. Is there water in your air lock on top of the lid? On to good news - they look fine. That sediment you see is normal. I would suggest spooning some out and tasting. If you like then you might think about spooning all the vegetables into your blender and adding ¼ of the brine you think you will use and blend. Check the consistency and keep adding brine until you get to the sauciness you are imagining. Let us know how it goes Casey. Ferment is not sour. It doesn't seem to be progressing. I am new to the ferment world. 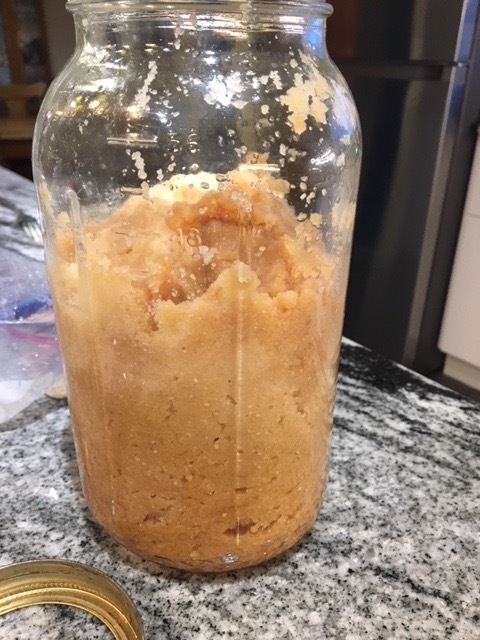 As someone who loves to cook, enjoys quality food and always trying to become healthier, fermenting has become like a wonderful new friend. 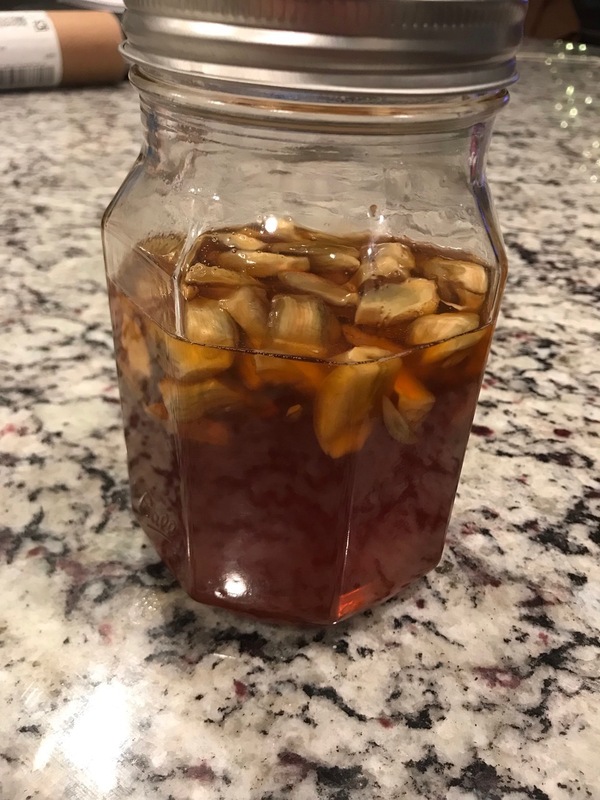 My second batch of kraut is now over three months old and is still not at a sour or tenderness level that I am satisfied with. According to pH strips, the acidity level is somewhere between 4-5, the brine is cloudy and I am no longer seeing any bubbles when I press the contents. Will the kraut ferment any more? Did I use too much salt? Is the batch at risk of developing any adverse characteristics if I continue to leave at room temperature? From reading up on some of your previous responses, I am surmising that I need to cut the cabbage more finely and/or massage, perhaps even beat it more in the future? Any insights you can offer would be appreciated! Welcome to wonderful world of yummy ferments. There are a lot of possibilities here. First let me say three months is a long time for such a small batch. It definitely won’t ferment any more. There is no need to leave it out. If left out it will eventually have no more “food” for the bacteria and they will die off. This won’t be bad, as in make you sick, it just won’t be probiotic or as tasty. My guess is the lack of pizzazz and sour is likely from the cabbage itself. Depending on the cultivar and time of year cabbages can have very little sugar and starch to break down. It is the sugar that turns into that lovely sour. There is a winter cabbage that has been bred from cold storage and can last for months because it is bred not to break down—which is exactly what we are asking it to do with fermentation. Cutting finely and massaging are always good. No need to beat it up—you may end up with a mushy kraut. I would say just try again. In a month or two the juicy summer cabbages will be at the markets and you will likely get a wonderful kraut. 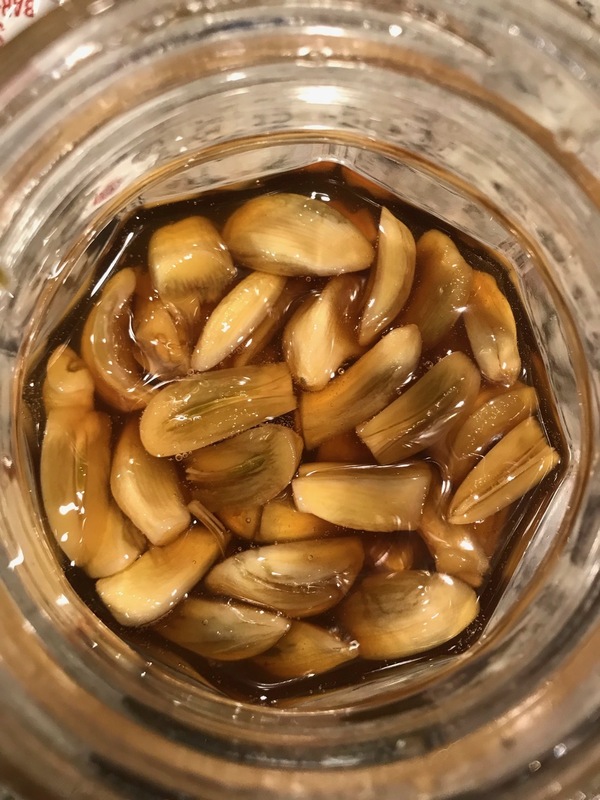 Last, if you are someone that likes extra sour you can do what some Asian ferments do which is add a little sugar that will be fermented into more acid. 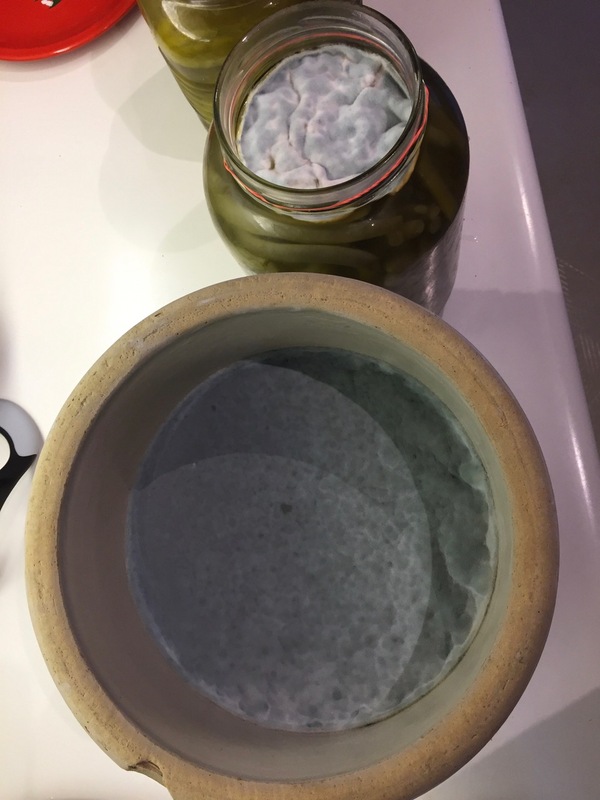 I have just started fermenting - this is my third little project - and I'm loving this whole new culinary world I've just discovered :-) My first 2 jars have been great (dilly carrots and sauerkraut, both plain salt ferments) fizzing away happily and needing regular burping. My last baby however isn't apparently doing anything...There's no CO2 that I can see or hear. In the jar are 3 peeled aubergines, I think 1 tbsp of salt, chilli flakes, dried oregano and 2 cloves of garlic. 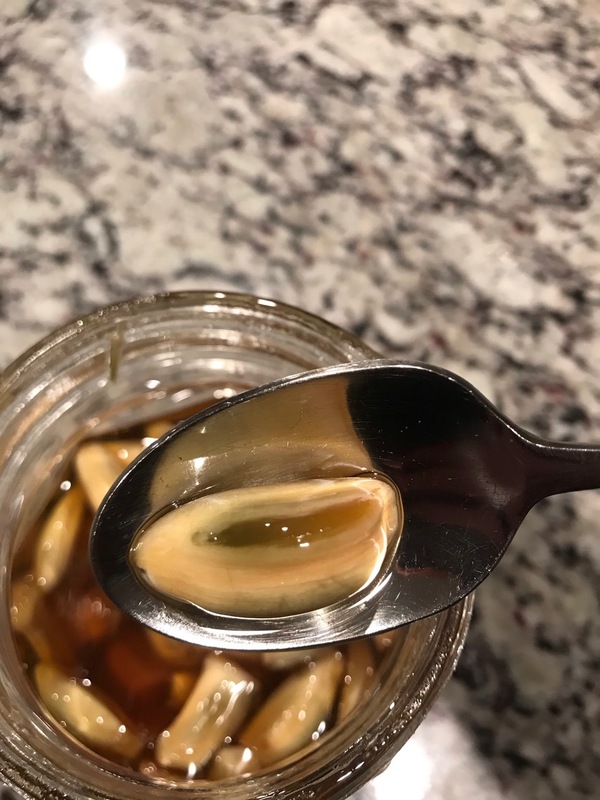 I peeled the skins off, then peeled the flesh into thin strips, massaged it all together to release the juices, put it all in a clean jar and stuck a smaller jar inside to press it all down. That was almost a week ago. It all smells fine and there's no mould or anything nasty growing...any ideas? Your ferment looks great. Here is the thing with the bubbles—some ferments work just fine with never a visible bubble. The CO2 is produced when the bacteria consume the carbohydrates —the sugar. Some vegetables just don’t have as much sugar—your aubergines being one of them. So it is likely fermenting just fine with very little CO2 activity. It should starting smelling and tasting pickling at some point over the next week. That does look like some kind of unwelcome pink microbial growth. The good news is that you have a great deal of brine and your veggies are anaerobic and safe under the weights. Skim off the top layer catching all of these bits. 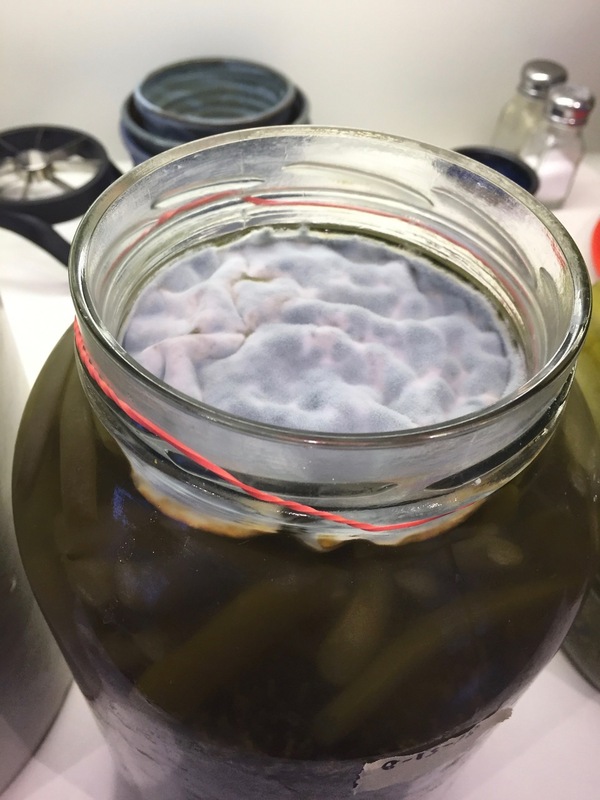 I wouldn’t get into the ferment until it smells good and pickle-y. When it is time make sure that none of this has grown back. If it has skim it off again. Once you get into your ferment if it smells and looks good it then it is. If it smells off then it is likely off and you will want to send it to the compost.